The view down the 9th Hole. 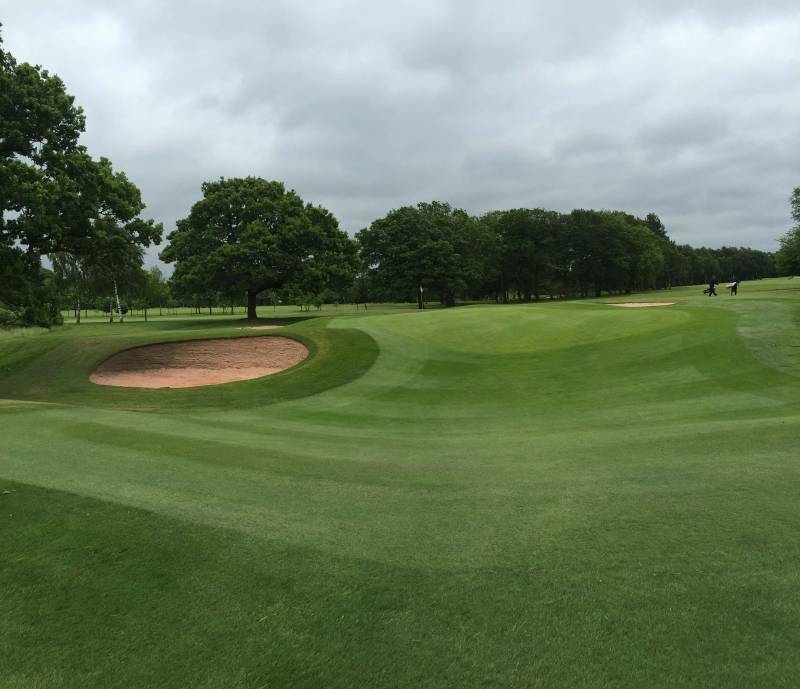 Here at Leigh Golf Club golf societies can always be assured of a warm and very friendly welcome. We have seen over the years many returning societies due to a golf course that is well maintained and a challenge to every department of your game. Whilst we will always try our very best to accommodate golf societies of eight players plus at short notice, early booking is always advised to guarantee a date and time of your choice. It is important to comment here though, thanks to our Head Professional Andrew we successfully implemented at the start of 2018, new processes and administration of how we book society visits to the club. We are busy confirming bookings of societies who visited in 2018 and are now wishing to return in 2019. As well securing dates for societies who have visited in the past, as well as those who will be visiting for their first time. Early booking is advised as in December 2018, we had already secured a total of two thirds of our 2018 society visits, in bookings for 2019. Please don’t delay getting in touch to guarantee we can secure a preferred date of your choice, contact details of our Head Professional are below. Please note making contact via email to the office/secretary could due to office hours/closures result in a delay in a response. Please provide your requirements as listed below in the ‘How To Book‘ section. Thank you. Menus on request. All dietary requirements catered for. Full cooked breakfast and extra meal courses available with a supplement charge. A £100.00 non refundable deposit must be paid within 14 days to secure your booking. This can be paid either by cheque, cash or card. Card and cash payments can be processed in The Professional Shop and a reciept will be issued. Card payments can also be processed over the phone by calling The Professional Shop.